Vibrant and graceful, this jumpsuit from Beebay will brighten up your little darling's cute look for any casual occasion. Made from Cotton fabric, this jumpsuit is simply perfect for summer days. 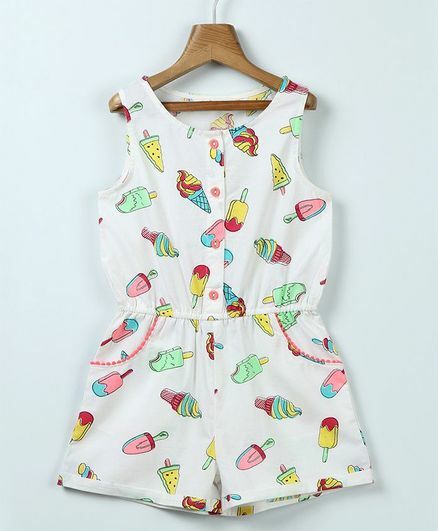 Detailed with Ice-Cream print all over that makes it look effortlessly adorable. Matching this jumpsuit with a pair of sandals will definitely look good on her. Styling Tip: Mix n match the jumpsuit with white sandals and hair band to complete the look.